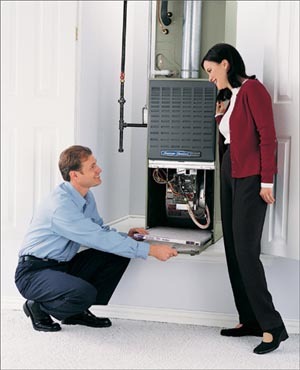 We offer regular furnace maintenance and repair services. The best way to assure the long life of your furnace is to have it regularly serviced by a qualified furnace repair technician. Many of our customers schedule regular annual furnace maintenance service which minimizes expensive repairs that result from years of neglect and assure them of dependable heating for their home or business. Gas fired forced air heating is a popular method of heating homes and businesses in Connecticut. These systems are cost effective to install and fairly economical to operate and maintain. High efficiency furnaces are especially responsive to proper maintenance and care. It’s the efficiency of the furnace that directly relates to it’s cost to operate. That means if it is not maintained, it cannot be as efficient, therefore it cost you more in the long run to operate. Today’s gas furnaces are more efficient and dependable than ever before. A high efficiency furnace can give you some of the highest efficiency ratings of any furnace in the industry. Our Furnace sales and repair team can assist you in making the sometimes difficult assessment to repair your furnace or have a full furnace replacement. Today’s furnace systems burn less fuel to create the same amount of heat and they pollute less than their earlier furnace models did. 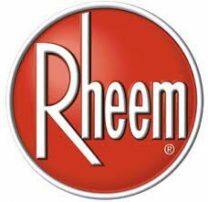 Why should you update your Furnace? Updating outdated furnaces could potentially save you more money in the long term. High efficiency furnaces have the potential to reduce up to 50% in operating costs when compared with their out dated versions. This is due to many furnaces being manufactured before 1990 which could mean they have Annual Fuel Utilization Efficiency ratings of 65% or less. To add context, the minimum AFUE rated furnace allowed to be sold in the United States presently is 80%. Currently, OSA offers products that maintain extremely efficient ratings from 96.6% AFUE to United States minimum of 80% AFUE. The benefit of the higher rated AFUE model furnaces is the significant reduction of the overall gas bill. To provide enhanced indoor comfort, we offer a variety of furnaces with variable and multi-speed features that slowly ramp up your thermostat setting. This stops the “cold air blow” typically associated with single speed furnaces, and drastically reduces system noise.